Some call it "stream of consciousness," others refer to it as a "line of thought." I suspect most don't have a name for the phenomenon that we all experience every day twenty-four seven. I call it "thought trains," a personal reference that reminds me of my favorite opening line, actually my favorite opening paragraph. It's from "Slow Waltz in Cedar Bend," by James Waller." "The Trivandrum Mail was on time. It came out of the jungle and pounded into Villupuram Junction at 3:18 on a sweltry afternoon in south India. When the whistle first sounded far and deep in the countryside, people began pressing toward the edge of the station platform..."
This morning the whistle of the "Trivandrum Mail" woke me at least an hour before I had to get up. Before I actually heard the train, its whistle sounded again, followed closely by a third blast. Listening close, I heard the first pounding of the train, followed by the screams of Baker Street (a flock of blue jays whose addiction to raw peanuts I enable once and sometimes twice a day). I tried to close my eyes and pretend Baker wasn't outside the window hanging onto a rain drenched branch, doing his best to get me out of the warm bed. I even had the crazy thought that if I clenched my eyes closed tight enough, I could banish both Baker and the train. The whistle sounded again, much louder than before, and Baker faded from my consciousness, replaced by a question, "I wonder what James Waller is doing these days." That was quickly followed by a thought of James Patterson, the current best selling writer of fiction in the world - specifically I thought about the MasterClass lectures I'm loving. I thought specifically about the lecture on openings and wondered if I would ever learn to write a pounding line like Waller's. The whistle blew louder sweeping James Patterson out of my mind, leaving in his place John Davidson driving down a stretch of western interstate, in his old tractor/trailer, saying to himself, "I spent my 62nd birthday the same way I spent the 38 before it, moving freight from one side of the country to another... no cake... no party... no celebration at all, unless you count my birthday surprise from Harry..."
Before I could go any further with John, the protagonist from my unpublished book, The High Road, which is undergoing a major rewrite, the whistle sounded again, and I remembered that I'd told myself last night about writing a blog today. I immediately recalled my response to that thought, "but I don't have a single idea to write about." Then, in the rush that always startles me, the train rounded the last bend, charging out of the jungle in a slow arc, growing bigger and even bigger, until it filled my entire thought frame. That's when I knew the commercial was over and the message was at hand. 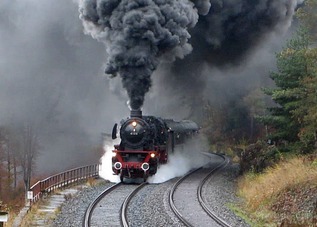 I waited, feeling the pounding of the monstrously huge steam engine and the heat of its presence, and marveled as I was encompassed by the glow of my own anticipation - then came the message, Write About Thought Trains. Then just look at us. Fifty years ago, the field phone on my desk chirped. I pulled the handset out of the cradle, and raising it to my ear I pressed the transmit button and said, "Sergeant Carson, how may I help you Sir? "It's me, Sarge," Corporal Fleury, our Company Clerk said. Without waiting for a response, he continued, "We just got a new man. His name is Castellaneous. He will be working in your section, and he'll be in your platoon. He's on the way over...." There was a long pause, finally broken, when Fleury, who couldn't define a sense of humor, much less give an example of the term, managed to add, "Sarge, he must be the last man who could pass the physical." Before I could snap the handset back in place, the door opened and a duffle bag, with legs, stumbled in, took two steps, then the bag and legs separated, revealing a PFC, who couldn't have been over 5'7" and on a tall day maybe weighed 140 pounds on a heavy day. His geeky-looking, Army-issued, plastic-framed glasses, hid a lot of his pimply face. Still I could tell he could easily pass for fifteen. He spotted me in the dusty gloom of the quonset hut, pulled his cap off and slowly made his way toward my desk. Too shocked to move, I sat and stared. 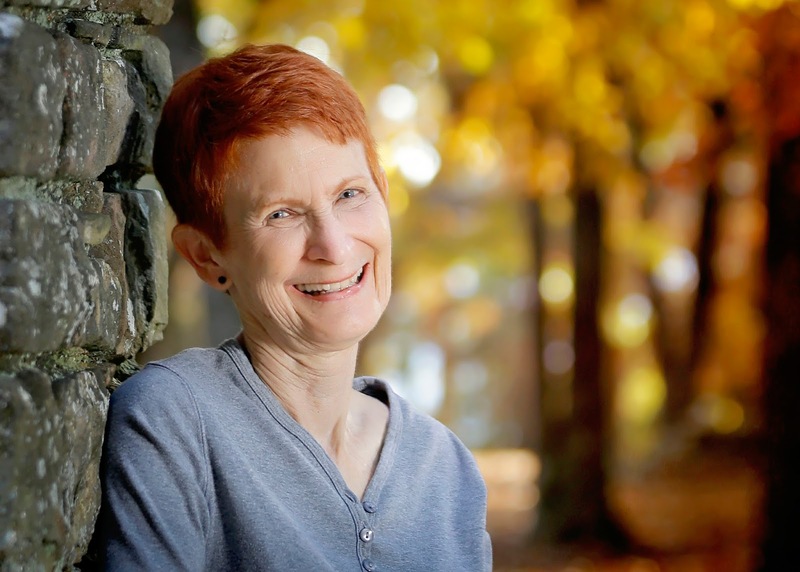 Six inches from the desk, he snapped to a stop, and I saw his right arm start moving upward. "Hold it, Castellanos," I said. I'm your Sergeant, not your commanding officer. Don't even think about saluting. Now, relax." With some effort he managed that. I said, "As my Daddy says, 'you look like you're worn to a frazzle.'" He grinned shyly and said, "I haven't slept in..." he paused, sneaked a look at his watch and said, "Eighteen hours." "Then this conversation is over until you sleep. Come on, I'll show you your bunk." Thirty minutes later he was sound asleep about ten feet away from the door to what I called my room, though, it was only a few sheets of plywood nailed to the joists, in the corner of the barracks. It was furnished with a makeshift door and a cot I'd raised a foot with bunk extensions to give me room to slid my foot locker under. I conserved every square inch of floor space to give me room for a second foot locker, which served as my desk and was accompanied by two folding patio chairs - one for me, and one for any infrequent visitor to my den. A few hours later, Castellanos was jackknifed into my second chair, sobbing. There is nothing in the NCO Manual that covers "Sobbing New Guy." I watched, listened and finally, afraid one of the other guys would hear and wonder what was going on, stood, reached across my desk/footlocker and touched him on the shoulder. "Castallaneous, I can't fix it until you stop crying and tell me what's wrong." Finally after shaking and snorting and wiping his nose on his sleeve a few times, he raised his head and said something I'll never forget. "Sarge, I'm afraid I'm going to be a coward." There's nothing in the manual for that one either, but I charged ahead anyway. "What the hell are you talking about Castallaneous?" I said. The short version of his story was, he came from a long line of war heros that began with his great-great-grandfather and progressed, without missing a generation, or a war, though to his father. "And that's why I'm here Sarge. It's why I volunteered. My family expects it, and I have to do it, and..." he sobbed again but recovered quickly, "I'm afraid I'm going to be a coward. The first in my family." A lot of things ran through my mind, but all I managed to say was, "Castallaneous, when the time comes, if it comes, you'll do what you have to do. Now go back to bed." He did. A few minutes later the lights were turned out. I listened a long time until I heard the sobbing stop and the sounds of Castallanous' sleeping blend in with the sleeping sounds of the rest of the squad, at least those who weren't on duty. Sometime between 2:00 and 2:30 AM, Victor Charlie came past Camp Bearcat on his way home from a firefight in Long Binh, Binh Ho or Saigon. The first rocket hit on the small 9th Division Helipad just behind our barracks. Strapping on my gear, I walked into the bay. Castallanous, horror paralyzing his face was sitting up but not moving. I slapped him on the back, "Forget everything except getting in the bunker. NOW!" The slap got him moving, and in the feeble light of my flashlight, I began working my way to the end of the bay. When I reached the first bunk, I ran my hands over the cover to make sure it was empty, then I went to the second and third, until I'd checked all twenty. Rockets and an occasional mortar were still lighting up the Stephen King scene when I started down the outside stairway of the two story building. At the ground floor, I stepped into the bay and began checking bunks again. Between in-coming rounds, I heard the door at the other end of the bay open. I looked up as a small figure came in,and, in the dim light, I realized it was Castallanous. He stopped at the first bunk, ran his hands over the cover and moved to the second. We met at the middle of the room just as another rocket, this one further way, lit up the scene. "I know you said go to the bunker, Sarge. And I did. But when I asked someone where you were, he said you always checked to make sure everyone was out before you came to the bunker." He paused, looked at me through his tear smeared glasses, and said, "I thought I ought to come back and help you, Sarge." That was the first of many times he "came back to help me," the kid from upstate New York, who was afraid he would be a coward. Castallanous was one of the bravest men I've ever known. 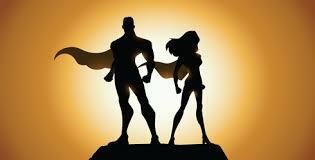 Men and women are heroes or cowards long before they are called on to prove which they are. I don't know why that's true, but I damn sure know that it is. No training or rehersal can change it. It's a built in fact. One that most never know about, and that's not a bad thing. There's one other thing I know about heroes and cowards, and it's the thing that prompted this post. Unless you know which you are, you aren't qualified to call a man a hero or a coward.... Mr. President. Parkland is a word. Parkland isn't a depraved, unspeakably violent act. It is a word. A word we've used to name towns, golf courses, Baptist Churches, shopping centers, and the hospital where John Kennedy, the 35th President of the United States, was declared dead. For a moment, in our current grief and dismay, we've forgotten that there is nothing bad or good about the word Parkland. We create names, and we supply the meaning to go with them. 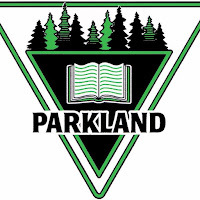 For example, Parkland is also the name of an elementary school in Coquitlam, British Columbia, Canada. I used the school's logo to illustrate this post because, it depicts life and knowledge, two resources we must use if we are to move beyond the Parkland of Feb 14th. Gun control isn't the solution because guns aren't the problem. Singling out an agency, in this case, the FBI, to shoulder the blame for a senseless shooting is as senseless as the crime itself. Blaming Donald Trump because of his mindless tweets and remarks makes no more sense than tearing down the school, which has been suggested by more than one person. The issue is much more complex than an individual's "mental condition," or the failure of a law enforcement agency to handle reports of suspicious behavior, or the lack of security at a school, or even the instigators unwillingness to ask for help. We have not identified the core problem and until we do, we're wasting time and energy proposing solutions that are as senseless as the act they are addressing. To find the real issue, let's step further away from the horror of the manifestation, take a deep breath and think about things for a moment. It's amazing what a breath of cool clean air wafting around the brain can do. The second paragraph of The Declaration of Independence begins, "We hold these these truths to be self-evident..." And therein lies the issue. A large portion of us no longer understand the truths the document describes. If we don't understand them, how can we uphold and defend them? We can't. Taking away assault weapons won't make the truths of the Declaration of Independence any more self-evident than firing a law enforcement officer who made a mistake. "I have experienced a partial failure of communication with Kirby's parents. I understand why this must be, as I have seen it before. Everyone who works with criminals in any capacity is familiar with this phenomenon. It is, I suspect a classification error. All their lives, they have been conscious of a great gulf between the mass of decent folk and the sick, savage, dangerous minority known as criminals. Thus they cannot comprehend that their son, their decent young heir, has leaped the unbridgeable gulf. They believe such a feat impossible, and thus the accusation of society must be an error. A boyish prank has been misunderstood. People have lied about him. Or he has fallen under the temporary influence of evil companions. Their error lies in their inability to see how easy it is to step across the gulf. Perhaps, in maturity, when ethical patterns are firmly established, one cannot cross that gulf. But in youth, in the traditional years of rebellion, it is not a gulf. It is an almost imperceptible scratch in the dust. To the youth it is arbitrary and meaningless. To society it is a life and death division." My less than eloquent take on John D.'s statement is, when truth is no longer self-evident, it is our task to insure that it is once again self-evident. To do that, we might have to go further back and redefine those truths: life, liberty and the pursuit of happiness. Sobeit. The task is before us. Let's get on with it. Every day, or night, depending on my energy level, status of my to-do list or the relative impact of the events I participated in during my day's travel through the universe, I make an entry in my Captain's Log (which isn't quite as elegant as the one pictured - but you get the idea). Often those entries inspire blog posts, like this one. 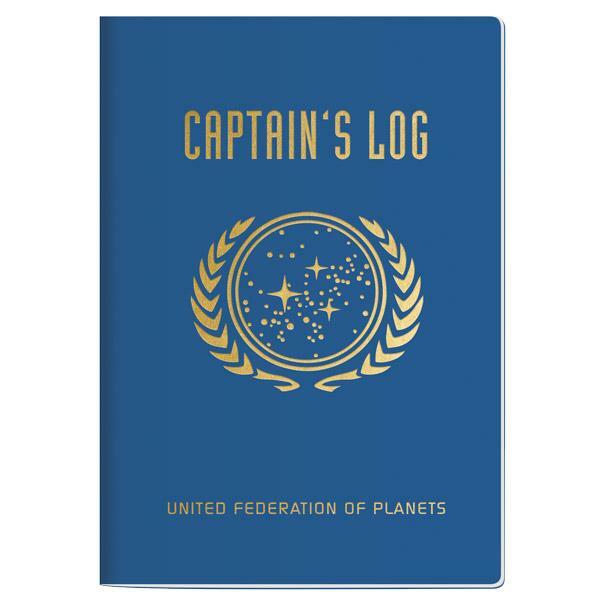 On occasion they become two or even more blog posts, as this one appears to be on the way to becoming (Watch later this week for Parkland, From The Captain's Log and some time after that will come another, probably called Journey Across the Universe, From The Captain's Log). I don't remember which came first, thinking about Stephen Woodfin or thinking about John D. MacDonald. Anyway, it doesn't matter which was first, they quickly got all mixed up and with no recollection of how I got there, or even where I was, I found myself reading a blog post written by Steven Woodfin, almost three years ago. The post, The Best Book I've Ever Read, got my attention because it was illustrated with a photo of the cover of John D's book, The End of the Night. Since I'm saving the last two Travis McGee novels like a drunk sipping his last beer, an hour after closing time, I thought, this is perfect, I can have a John D. read and save Travis, all at the same time. So I walked up to the digital bookstore/bar that lives inside my computer, where it never sleeps, and called out to Jeff Bezos, the amiable barkeep, "Jeff, I'll have one End of the Night, in Kindle format please." I added the delivery particulars and glanced up at Jeff, who, as usual, didn't speak. He smiled that shy grin of his, the one he flashes every time he sells me something, which is often, formed his thumb and forefinger into a Robert B. Parker/Spenser virtual pistol, and pretended to shoot me. A moment later I received digital notification that his aim was sure and the book had indeed downloaded to my Kindle. I closed the web page, opened my Kindle and there it was. As I clicked on the digital masterpiece, I silently and unconsciously repeated my usual John D. MacDonald mantra, "don't open that now... you... know... what... will... happen." and takes its best last shot. Thanks Stephen, John, Steve, and all of the rest of you who are out there, slowly circling in my mind. 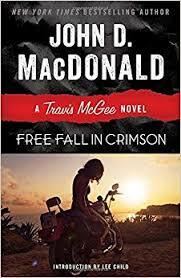 Free Fall In Crimson is the nineteenth book in the Travis McGee series of twenty-one books. Travis was created and brought to life by John D. MacDonald, the author of over seventy novels. You can find all of the McGee books here, on Amazon. If you want to know more, go to Calvin Branche's lovingly and masterfully constructed and maintained John D. MacDonald memorial site. Here you will find all of the Travis McGee books and a whole lot more about MacDonald, his life and his fans. The page Meeting Travis alone is worth the visit. Just after reading book seventeen, The Empty Copper Sea, I stopped reading the Travis McGee series. Not because I wasn't enjoying them. I was enjoying them too much. In fact, I was devouring them like I used to devour candy in my sugar eating lifetime. Just as in those days, I pulled myself up short, like the old me eating a super large size bag of M&Ms, thinking, "Whoa, there are only four of these books left. I've got to make them last." So, I forced Travis out of my mind, like wadding up those last four M&Ms in the worn, once super-large size M&M bag and cramming it into my left rear jeans pockets, the one I never use for anything. To keep my mind off those last four books, I reread Nevil Shute's twenty-four novels, and, I have to confess, I read Round the Bend twice, bringing the total number of readings of it to at least fifty, since I discovered it and Nevil gathering dust on a high shelf in the Laurel Mississippi Public Library, forty years ago. So, why am I sitting here on a warm, wet, very early spring afternoon, telling you about John D. MacDonald, Nevil Shute, Free Fall In Crimson and Round the Bend? Because I love books. I've loved them as long as I can remember, and that is a long, long time. I caress and fondle them when no one is watching and sometimes when they are watching. I read books and I write them. But I'm telling you all of this to tell you that sometimes books are treasure chests you don't expect. To get to those treasure chests, you have to follow the trails, the bread crumb trails left by authors. Some are dead ends. Others lead to treasure. The one I found last night lead to treasure. I began A Free Fall In Crimson, reading slowly, in order to drag it out as long as possible. Naturally, I read the two quotes at the beginning of the book, just after the title page. The first I had read before, it was taken from The Night of the New Moon, by Laurens Van Der Post. (1) Nobody can ever get too much approval. (2) No matter how much you want or need, they, whoever they are, don’t want to let you get away with it, whatever it is. (3) Sometimes you get away with it. I didn't know John Leonard, so I decided to search for him, with a two-fold motive. First motive, information and second motive, further delay in beginning A Free Fall In Crimson. My search took me first to AbeBooks.com, where I found a copy of Private Lives In The Imperial City. I only stayed there long enough to purchase a "near fine, first edition" of the book for less than $5.00 (I've loved AbeBooks for as long as there has been an AbeBooks). As read, reread, and read yet one more time, Vonnegut's words, the same thought keeps churning through my mind, Thank you gentlemen.